Your gallery is gorgeous! Chapeau! It is SO good for me to see your fabulous artwork again, my friend! Hello there! Thank you so much for the favorite! I was wondering where ya went off to, Have not seen any UF work from ya in a while. Still blows my mind the amount of Fractals you have produced. It boggles my imagination! I am attempting to produce with some consistency now trying to make myself 1.5 to 2 times better quality by the end of a year, and maybe in two or three to have 15 pieces i adore and am willing to put up in a gallery. My hats off to your devotion MB3D annihilated me I have zero idea how anyone gets that program down. 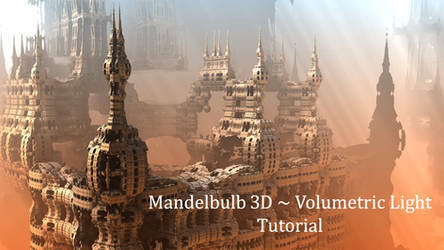 You are a master of Mandelbulb3D.